Like many other people, I spend more time at my job than I do at home. Of course, it’s always nice when you can “spruce” up your workspace, to make it a nicer place to spend 8 or more hours a day. 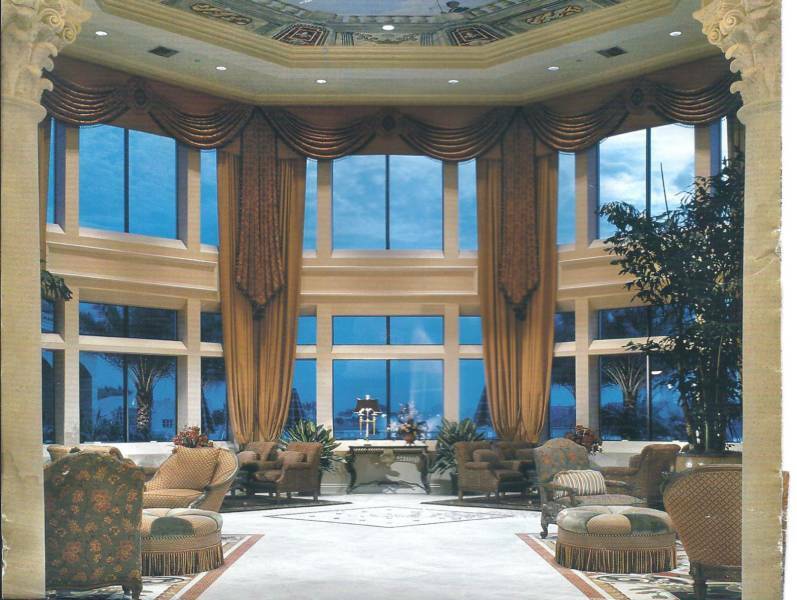 I’m lucky to work in the beautiful clubhouse of a country club community, but the “office” portion is behind closed doors and not to be compared with the beauty of the clubhouse. Here's the first thing I see in the morning when I enter through the gate of the community. After parking, I walk into the lobby- so beautiful! As I said, our offices are behind closed doors-nice but not spectacular like the rest of the joint. I do try to make the space around me livable so I enjoy my days at work. Here's my board with pics I like. 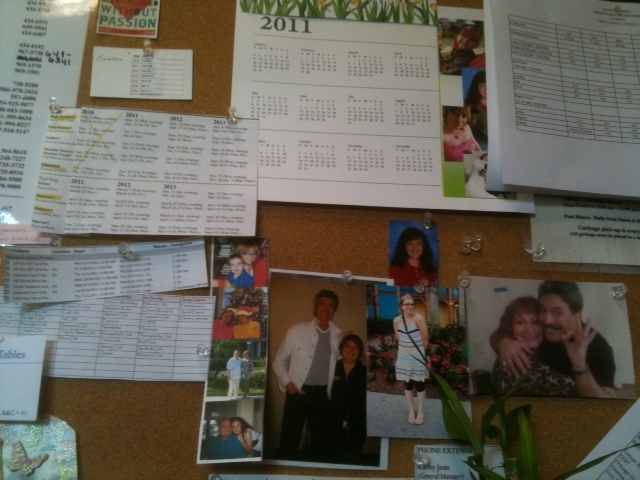 Notice the picture of me and Tony Orlando...yes THE Tony Orlando. I hired him to entertain at one of our shows- such a nice guy:) Oh and the other picture of the tall guy with me is Tommy Tune the Broadway dance star. Tea and honey to get through the day. 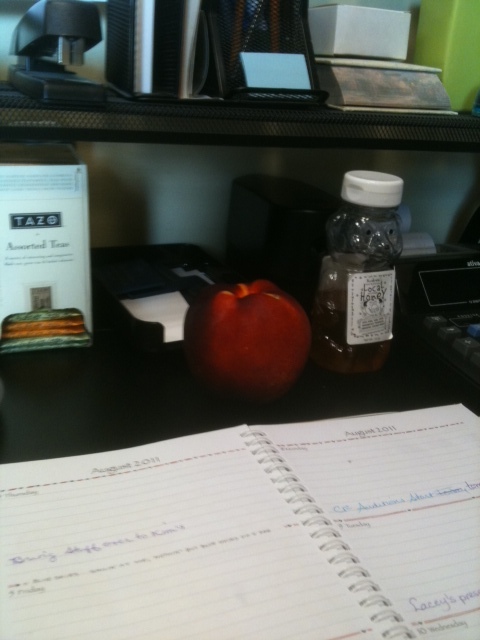 And also, my Susan Branch desk calendar. Can't get through the day with out her happy illustrations either. 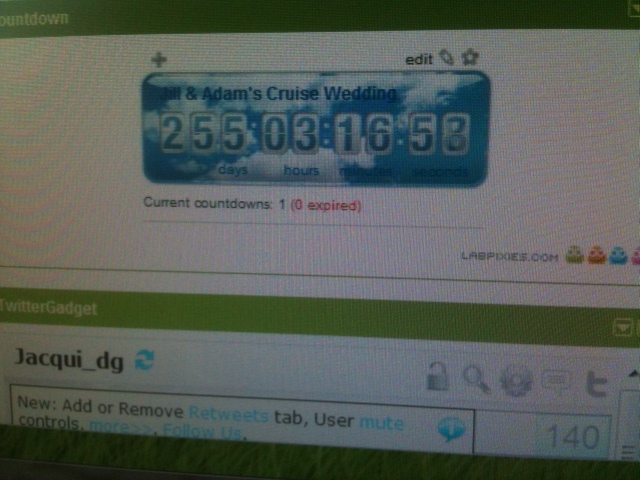 Countdown to Jill & Adam's Wedding Honeymoon Cruise- only 255 days to go! Well, that’s all for today, the tour is over. 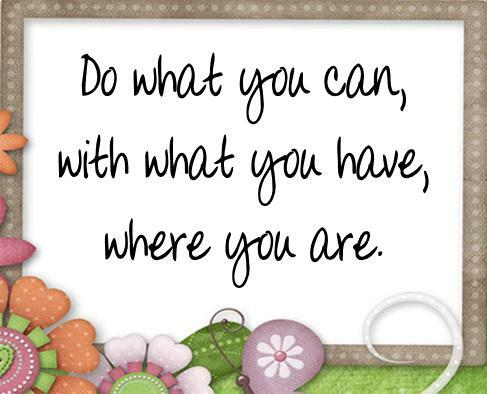 Have a happy! 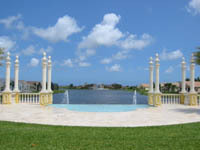 This entry was posted in Life and Times and tagged clubhouse, Country Club, infinity pool, job, lobby, susan branch, tazo tea, Tommy Tune, Tony Orlando, wedding cruise. Bookmark the permalink. Thanks so much for stopping by my blog and leaving such a sweet comment. Isn’t it fun to read Susan Branch’s blog and also the comments of the “girlfriends”. Such a fun place for like minded people to share. I’m not sure what you do for a living, but the country club looks gorgeous!! I hope the allow you to use the amenities. I love how you have personalized your little space with tea and honey and, of course, a bit of Susan too :).